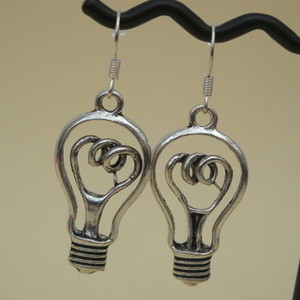 These Steampunk earrings aren't made from anything vintage, but I couldn't resist these cool lightbulb charms! I have attached them to silver plated earring hooks. The lightbulb charm measures 32mm including the hanging loop.